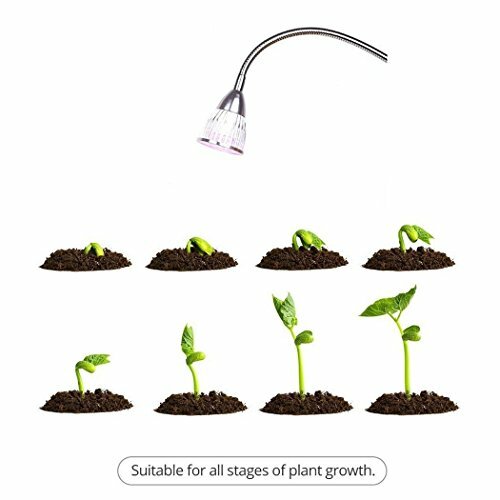 These spectrums provide different light for different growing phases, making it easy to provide the perfect light to make sure that you have the best yield, while making sure that during the vegetative state your plants grow log and hearty, or short and bushy. 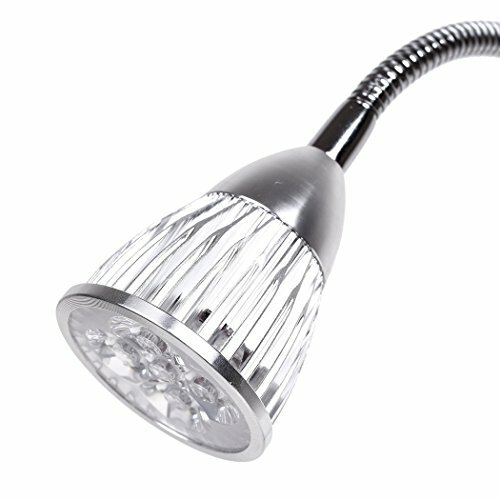 Helps accelerate the growth of indoor plants. 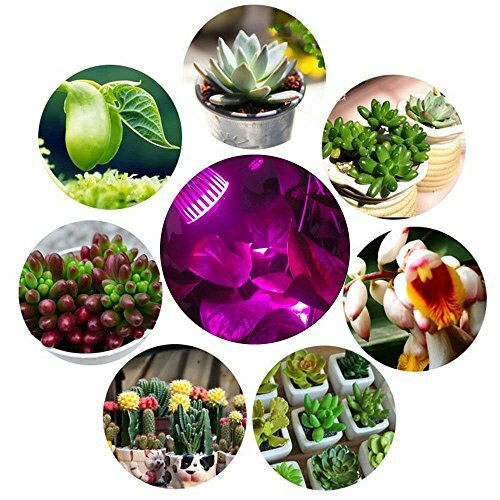 Emits the wavelength of light which can be fully absorbed by the plants photosynthesis, best for blooming and fruit & for promoting the leaf, can rapidly improve the health of plant and growing. 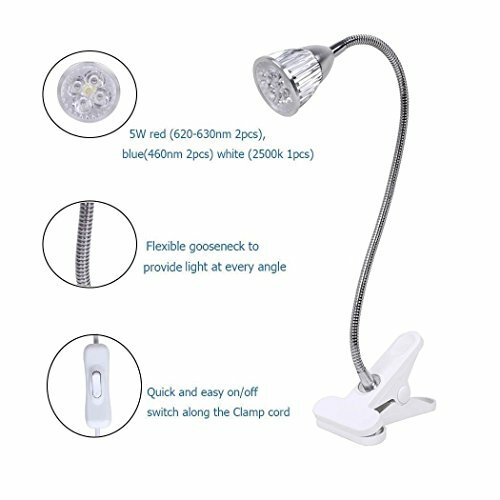 ADJUSTABLE, FLEXIBLE, GOOSENECK ARM, A flexible, adjustable arm lets you position the light in any direction. energy saving, low heat and low power consumption,high luminous efficiency and long service life Blue light is good for photosynthesis; and help to induce Chlorophyll and Carotenoid, which are necessary for healthy leaves; Red light is best for blooming and fruits,White light can be used to ensure the plant has itself's color. 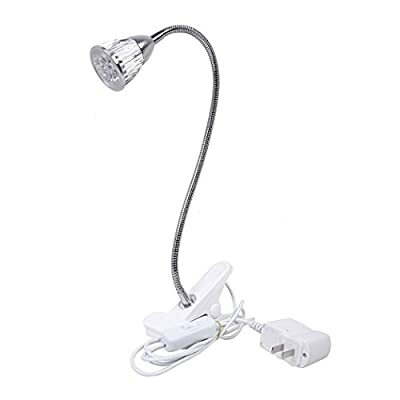 Height: 19 ",Clamping range up to 3", Cord length: 53 ", Off/On switch along the clamp cord. 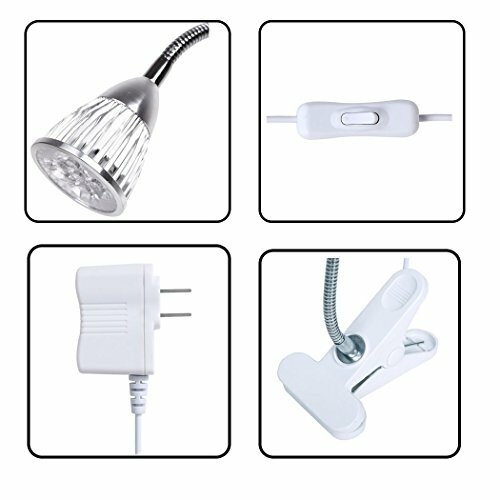 RELIABLE AND FRIENDLY CUSTOMER SERVICE: Ready to respond within 24 hours, 30-day money back guarantee, 12 month replacement warranty and lifetime support guarantee.